Duel No. 1 Winner: Ryan Blaney of Team Penske (Ford) in overtime. Bowyer will start tenth in Sunday’s 60th Daytona 500. Bowyer raced in the top-10 when he narrowly missed a spinning Erik Jones in a lap-12 accident. Bowyer made a lap-13 pit stop for four tires and adjustments to fix his loose handling condition. Bowyer remained in the top four for the rest of the race. 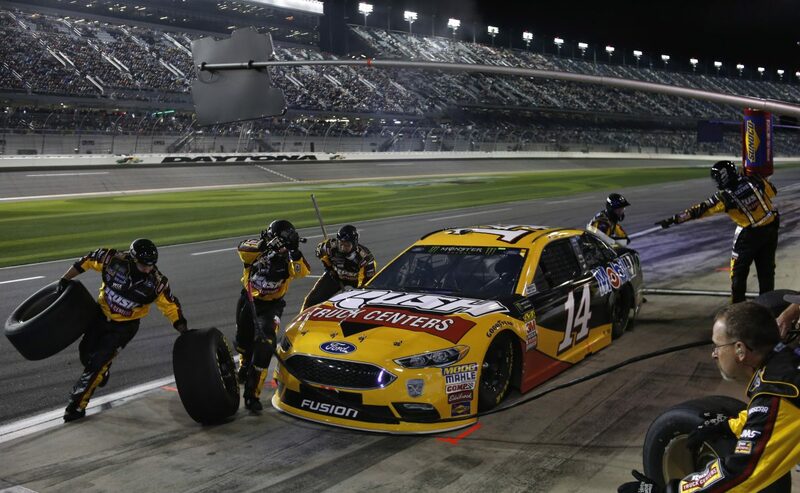 Stewart-Haas Racing scored three top-five finishes in the Can-Am Duels at Daytona. Bowyer scored seven regular-season points, Harvick nine and Kurt Busch six. Drivers earning odd-numbered positions from Sunday’s pole qualifying session were assigned to the first Duel race. Drivers earning even-numbered positions from pole qualifying competed in the second Duel race. The starting positions for each Duel race were based on qualifying times. The 60th Daytona 500 gets underway at 2:30 p.m. EST on Sunday, Feb. 18, with live coverage provided by FOX beginning with its pre-race show at 1 p.m.